If I had* a Lego Diorama Room in my house, it would look a hell of a lot like this. 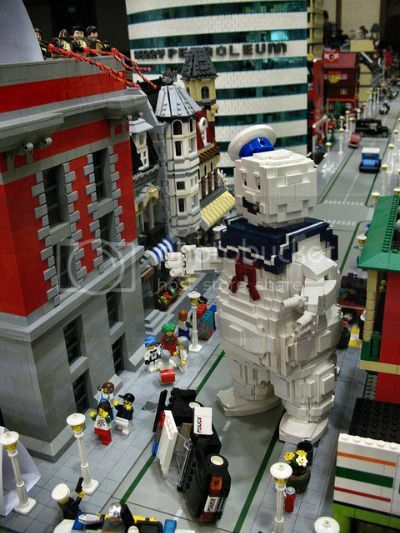 Credit Bill Ward for the Stay-Puft Marshmallow Man and Brian Conti for the rest of the scene, which won “Best Minifig Scene” at Bricks by the Bay. Which is a sad substitute for the clearly-deserved “Best Cheerful ‘Mallow Monster” prize. Via Laughing Squid, who crosses streams with wild abandon.